I guess I’m late, but Cathay Pacific now has a new lounge in Manila, the Philippines. Their old lounge was a dump, and while I haven’t been, I’ve heard similar responses from everyone who has. 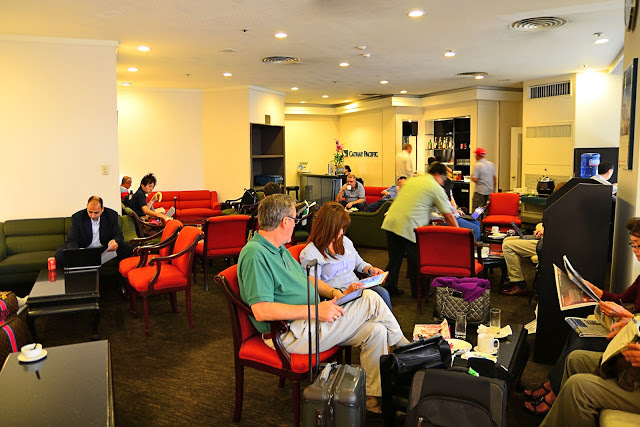 The Manila lounge measures 650 square metres which is almost twice as large as the previous lounge at Manila Airport Terminal 1, and can seat approximately 135 people. The brand-new lounge offers a comfortable environment and understated luxury for First and Business Class passengers to relax before their flight. Designed by Studioilse, the London-based design studio led by Ilse Crawford, the aim is to bring to life Cathay Pacific’s new brand design ethos, and to create an environment that helps passengers feel relaxed, engaging the senses and focusing on wellbeing as a core principle. This has been achieved by working with warm, natural materials like wood and stone, softening the acoustics where possible and adopting a considered approach to lighting. 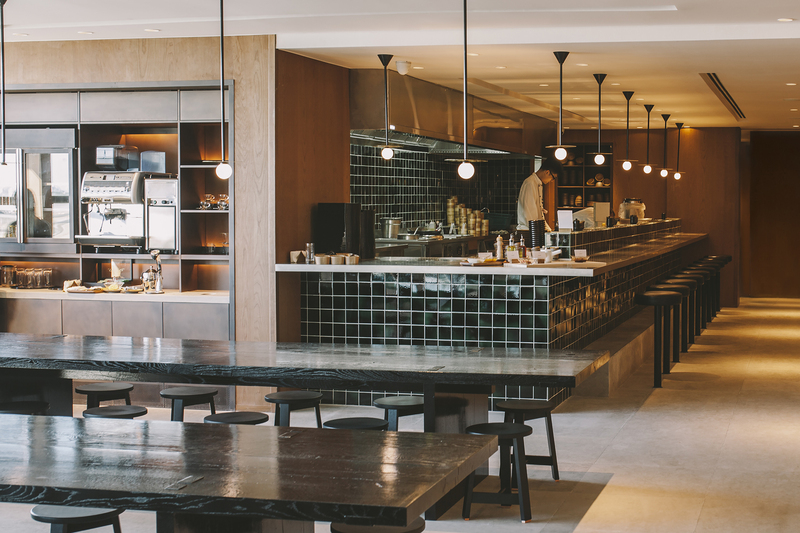 Cherry wood walls and a limestone floor are framed with details such as glazed screens, green ceramic tiles in The Noodle Bar, bronze highlights in the main entrance and brass in the Bar. The extensive use of plants gives colour and life to the space, while works by Philippine artists add an element of local culture. The overall feeling of the lounge is of a domestic space, more like a living room than an airline lounge. Natural sunlight filters through the windows. Designer furniture and lighting have been carefully selected for practicality and comfort. Bespoke chairs and side tables with in-built lamps and sockets are placed by the windows where passengers can enjoy the view of the airport runway and beyond. The Bureau provides three individual workstations with dual operating system iMacs and printers. Free Wi-Fi access is also available throughout the lounge. With a greater focus on food and beverage services, the dining area features Cathay Pacific’s signature Noodle Bar, a popular facility at the airline’s world-renowned lounges at Hong Kong International Airport, which offers a selection of Asian noodles including dandan mien and wonton noodle soup, freshly prepared by a chef. During the morning hours until 11:00am, an authentic Philippine breakfast will also be offered. 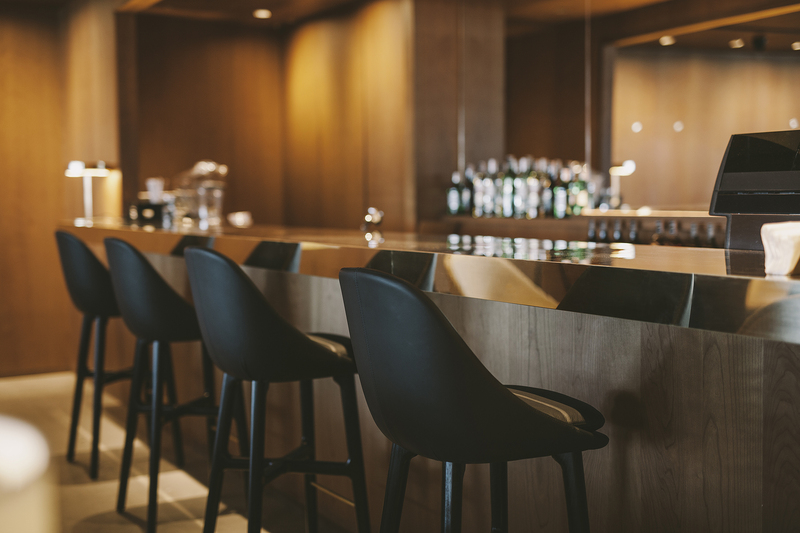 Another dining highlight is the Bar, where passengers can enjoy a wide selection of tapas, desserts, freshly blended cocktails and a variety of alcoholic and non-alcoholic drinks. 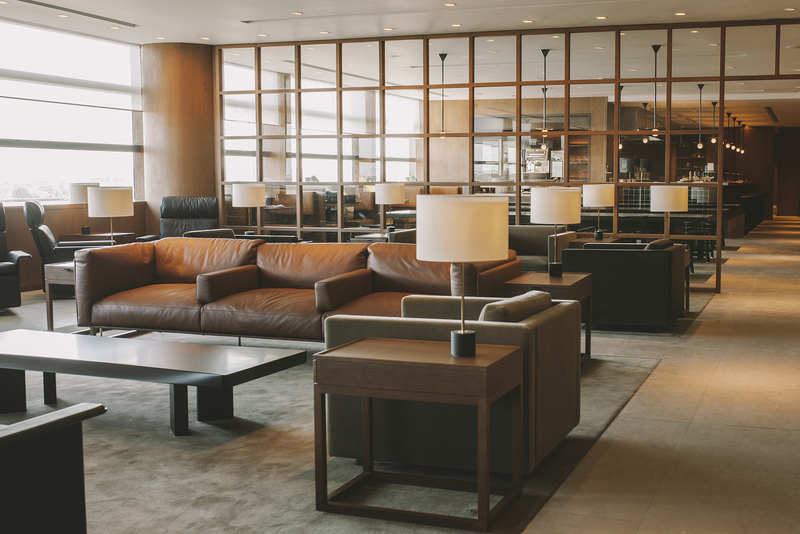 The new lounge in Manila is designed above all to reflect the Cathay Pacific brand experience and to offer passengers both relaxation and enjoyment, whether they are returning home to Hong Kong or starting on a longer journey. Amazing improvement and looking bloody good!